Guelph: My year at MacDonald Institute was one of my mountaintop years. (MacDonald Institute has given way to progress and is no longer an entity on the University of Guelph campus.) As we approached the city, faces and voices from the past, reached out to me. So many of those vibrant young people have lived their lives, made their contributions, and are now departed this life. We found our destination and were warmly welcomed by Peter and Elizabeth Moffat. After many decades they returned the hospitality we offered them in their early days of ministry in the west. They gathered a group of friends to talk about my book. Art played Für Elise as planned before his sojourn in intensive care. It was a lovely intimate evening of sharing. Elmira: Our home, for three memorable years while Art and I shared a team ministry. In leaving Winnipeg, our teenage son agreed to move anywhere so long as he could have a horse and we thought a community where Old Order Mennonites farmed would provide that opportunity. He got his horse, and we loved it there. Unfortunately the congregation found supporting two ministers more than they could afford and we returned to Manitoba leaving many good friends. One of them was Sally, who having read my book, believed everyone should read Elise’s story. She had been lending out her copies for over a year. Some men, in fact most found the story extremely uncomfortable, but for Sally’s sake, read it. How could such injustice be explained? 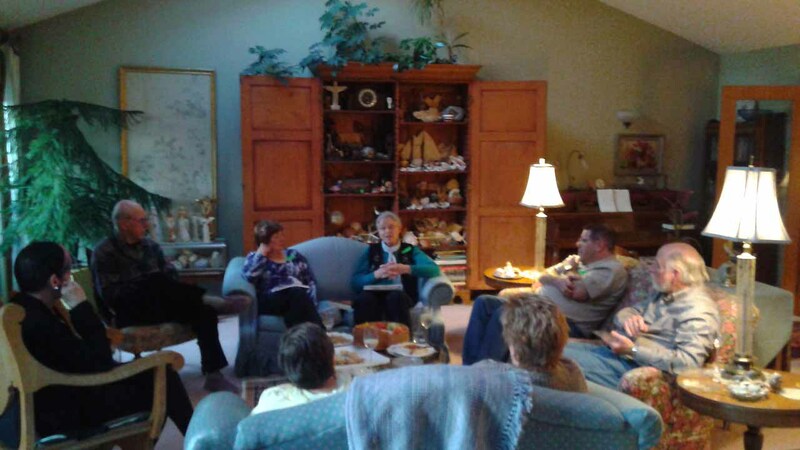 Our gathering in her Mennonite Church was very ecumenical, Old Order and Elmira Mennonite, and Trinity United and together confronted the historical narrative of a woman’s faith in horrific circumstances. Had the book been fiction, they would have walked away, but the facts revealed, and compelled them to recognize its reality. Elise’s story sizzles away in minds, and her influence continues long after the cover is closed. I am humbled by responses to her story that evening and continuing as these excepts describe. I am almost finished For Elise! And some part of me will never be finished. My heart hurts recognizing the horror of injustice, the total selfishness. Part of it was my maternal grandmother’s story. Percy Criddle, the ‘autocratic ruler of his little empire’ (p. 474), reminded me of the same class of Englishmen who came to the Caribbean, owned people as slaves, tried to pretend they were the elite, & lost their humanity. Your book is a gift to the world.